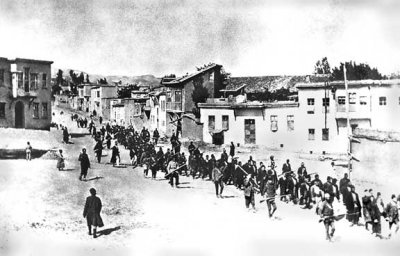 Friday marked 100 years since officials of the forerunner to Turkey, the Ottoman Empire, began what many view as a process to eliminate Armenians during World War I. There is little professional disagreement that the persecution, deportations and massacres that followed amounted to genocide but Turkey continues to object mightily to such claims. Norway’s failure to officially use the term “genocide” is widely thought to be based on a reluctance to offend Turkey, which remains a strategically and economically important ally of Norway despite concerns over its increasingly authoritarian government. Turkey rejects the term “genocide,” claiming the deaths of as many as 1.5 million Armenians were a result of wartime hostilities, that there were assaults on both sides, and that many of the deaths were unintentional consequences of a deportation process. Norwegian Prime Minister Erna Solberg turned down an invitation to attend a memorial ceremony in Armenia on Friday, when she was instead leading her Conservative Party’s annual national meeting that was scheduled for the same weekend. Solberg also refused to send any members of her government to Armenia, opting instead to have Norway’s ambassador to Russia attend. 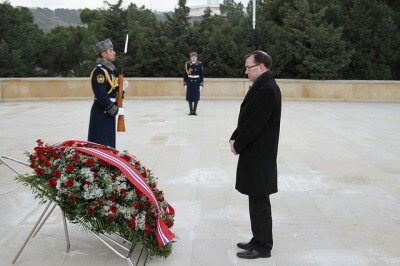 The head of the Norwegian state church, Helga Haugland Byfuglien, was also present at the memorial to the dead in Jerevan. That has disappointed many of the thousands of Armenians living in Norway and others including Professor Bernt Hagtvedt of the University of Oslo, who said on national radio Friday morning that Solberg’s government was displaying “a tendency towards cowardice” by staying away. “I can’t understand the government’s position on this,” Hagtvedt told state broadcaster NRK. The failure to take a position is linked to Norway’s active participation in NATO and relations with the US, which both view Turkey as important for strategic reasons. Norwegian governments apparently have concluded for years that it’s not worth offending Turkey over the genocide issue, while Norway also has its own economic interests to look after both in Turkey and Azerbaijan, which is an ally of Turkey and also in conflict with Armenia over the disputed area of Nagorno-Karabakh. Norwegian oil company Statoil has been active in Azerbaijan, despite concerns over its own authoritarian government, and Norwegian officials are also accused of refusing to use the term “genocide” because that could harm Norway’s investments in the area. Organizers of a march through Oslo Friday evening, due to begin from Youngstorget at 7pm, were nonetheless intent on demanding that the genocide be recognized in Norway as it already has in countries including Sweden, France, Switzerland, the Netherlands and, most recently, Austria, where Turkey responded by immediately calling home its ambassador in Vienna. 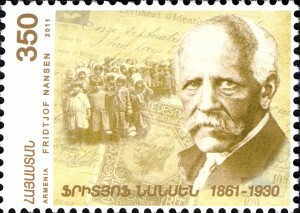 The march, arranged by the Armenian Cultural Association in Norway and Armenian church officials, was to proceed to the Parliament, where appeals were to be held by Nansen’s great-granddaughter Anne Greve, the leader of Norway’s anti-racism center Rune Berglund Steen and the leader of the cultural association’s leader, Airazat Kazarian. Several other events were being held around the country, and around the world.